Native American Weddings - Sedona Arizona, native wedding ceremony. A Native American wedding ceremony is a unique, powerful, and moving way to begin your married journey together. Sedona is sacred to many Native American nations, which makes Sedona the perfect place to experience an authentic Native American wedding. 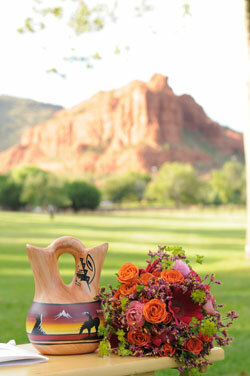 At Weddings in Sedona, we are respectful of Native religious and cultural traditions. 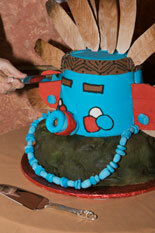 That’s why we would only consider employing authentic Native American officiants to conduct these ceremonies. This also helps keep these revered traditions alive. 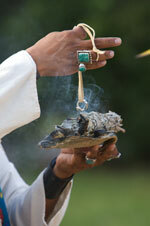 You may incorporate a Native American ceremony into any of our wedding packages, or a “custom” wedding. Or, consider our “Shaman’s Blessing” package which includes both a Native American officiant and a Native American flutist.